Bass Legend Jeff Berlin To Release 30th Anniversary Edition 12-inch Vinyl “Joe Frazier – Round 3” Feat. Steve Vai & David Sancious! Nashville – Legendary bassist Jeff Berlin will be releasing on May 11th a 30th Anniversary Edition 12-inch vinyl of his signature song “Joe Frazier.” The EP “Joe Frazier – Round 3” will include a newly remastered version of the original song from his critically acclaimed 1987 album “Pump It!” and a completely re-imagined version, composed and performed by Jeff, Steve Vai (lead guitar), David Sancious (keys), Keith Carlock (drums) and Tom Hemby (rhythm guitar). This limited-edition EP will be available as signed audiophile vinyl, signed CD, or digital release, with collector’s editions including an autographed chart of the new arrangement. Digital “mix minus” tracks of the single will also be offered so you can play along with these iconic musicians. Release date: May 11, 2018. All of Jeff’s signatures will be original! Each of these “Music Minus” mixes is available for individual purchase ($4.99) and will also include the full digital score along with the alternate mix. 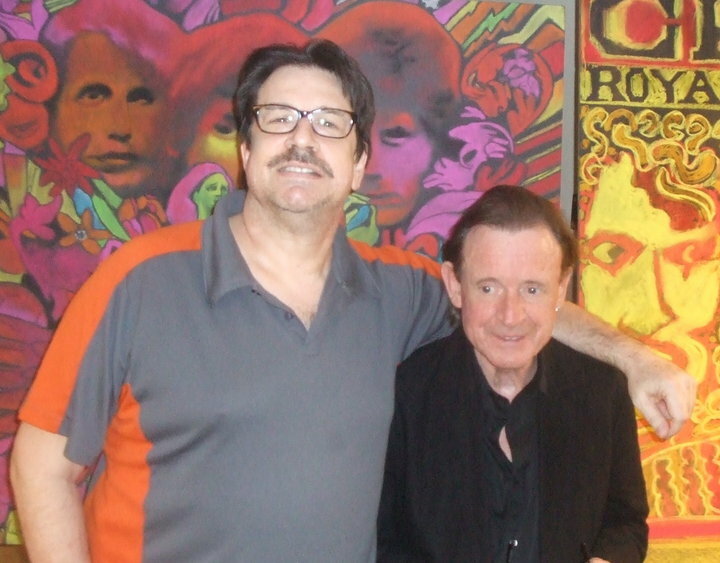 Clearwater, FL – Bass icon Jeff Berlin will be launching a Pledge Music Campaign on August 18th for a new tribute album to legendary Jack Bruce titled “Jeff Berlin Plays Jack Bruce: Songs For A Wailer”! Jack Bruce, best known for his work with classic rock legends Cream, as well as his critically acclaimed solo work, sadly passed away in 2014. 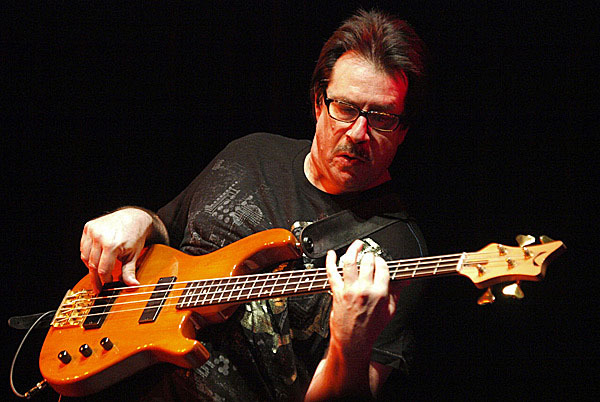 Jeff Berlin, who has been called “the greatest bass player in the world”, was a personal friend of Jack’s and felt the time was right for a tribute. Says Jeff, “Recording the music of Jack Bruce will be the most emotional recording project of my career. Jack was the greatest musical influence I ever had. As an impressionable 14 year old bass player, I was stunned by Cream, literally in awe of the music that came from them. And, in the center of the music were these strange and wonderful bass lines weaving in and out of the key, reaching for resolutions and finding them, again, and again. Jack’s playing was a living evolving improvisation. I simply never heard a bass player that had the breadth of originality like Jack had. In fact, I still haven’t! Guest list is still being expanded. Known worldwide for his innovative style, Jeff has graced bandstands and recordings with legendary players like Bill Bruford, Dennis Chambers, Neil Peart, Billy Cobham, John McLaughlin, and Allan Holdsworth, and has led bands and recorded his own CDs for nearly 30 years. He has recorded for vocalists Patti Austin and kd Lang; he has traversed the progressive rock realm with former YES members Anderson, Bruford, Wakeman, Howe and is the only electric bassist to have played with jazz pianist Bill Evans. Jeff famously turned down an offer to join rockers VAN HALEN. Jeff is also hailed outside the usual musician ranks: Actor Gary Sinise (also a bassist) is one of his biggest fans, and renowned boxing trainer and ESPN commentator Teddy Atlas refers to Jeff as “the best in the business.” Jaco Pastorius considered Berlin a better soloist than he was. Geddy Lee called Jeff “the best bass player on the planet”. Jack Bruce said that Jeff “was the greatest bass player I ever heard!” From straight ahead Jazz to Fusion to Prog-Rock, Jeff is famous for playing anything, always at the very highest level of proficiency and musicality. “Jeff Berlin Plays Jack Bruce: Songs For A Wailer” will be co-produced with Jeff Berlin by New York based producer John McCracken. John is a gold and platinum record producer/musician/engineer with over 100 recordings produced for major and independent record labels as well as TV and film. He has worked in all genres including rock, pop, jazz and classical/opera. John is also a former EMI Music Group Executive as Head of A&R/Staff Producer for EMI Music/Blue Note Label Group. There he worked with Norah Jones, Amos Lee, Rosanne Cash, Diana Ross, Sarah Brightman, Anouska Shankar (daughter of Ravi and half sister of Norah Jones), Robert Glasper and many others. John is currently spearheading guitar legend Allan Holdsworth’s Tales from the Vault PledgeMusic campaign. He is also an acclaimed guitarist and recording engineer and brings over 35+ years of experience at all levels of music production, A&R/project management and publishing. As a follow-up to our Thunder Row Review of “Low Standards” album, we were fortunate to have Jeff Berlin answer a few questions about the album. JB: Thank you for giving me the chance to talk about my new CD. TR: With so much to choose from for this album, what was left on the cutting room floor? Anything you regret not including in the collection? JB: Everything that you hear is what I intended to record. I didn’t leave anything on the cutting room floor. In fact, I kind of wish that I added another song or two. For the rest of the interview, please visit the Thunder Row website! 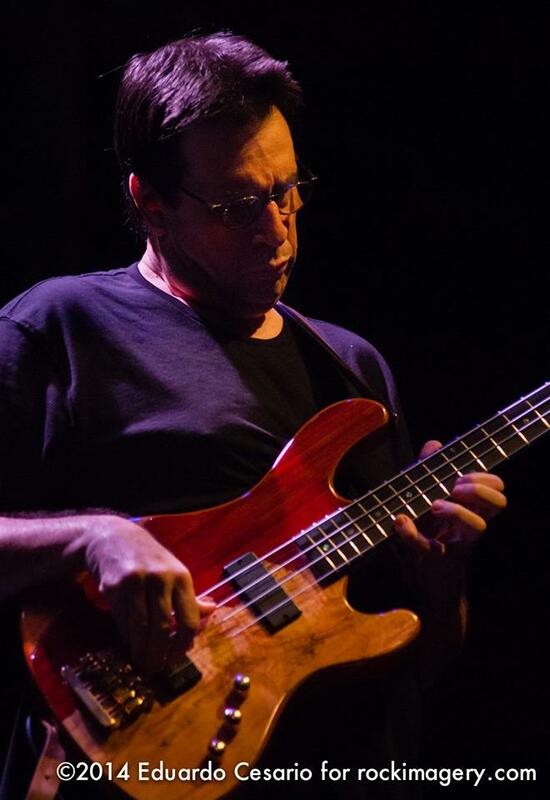 Tampa, FL – JEFF BERLIN has been called the greatest electric bass soloist in the world. While the terms “great” and “genius” are bantered about much too frequently, the accolades for Jeff Berlin are not hyperbolical – Jeff is indisputably one of the best bass players to ever play his chosen instrument. Geddy Lee (bass player for RUSH) calls Jeff “The greatest bass player on the planet,” while the late Jaco Pastorius considered Berlin a better soloist than he was. Known worldwide for his innovative style, Jeff has graced bandstands and recordings with legendary players like Bill Bruford, Dennis Chambers, Neil Peart, Billy Cobham, and Allan Holdsworth, and has led bands and recorded his own CDs for nearly 30 years. He has recorded for vocalists Patti Austin and KD Lang; he has traversed the progressive rock realm with former YES members Anderson, Bruford, Wakeman, Howe; Jeff famously turned down an offer to join rockers VAN HALEN. Jeff is also hailed outside the usual musician ranks: Actor Gary Sinise (also a bassist) is one of his biggest fans, and renowned boxing trainer and ESPN commentator Teddy Atlas refers to Jeff as “the best in the business.” From straight ahead Jazz to Fusion to Prog-Rock: Jeff plays it all, always at the very highest level of proficiency and musicality. 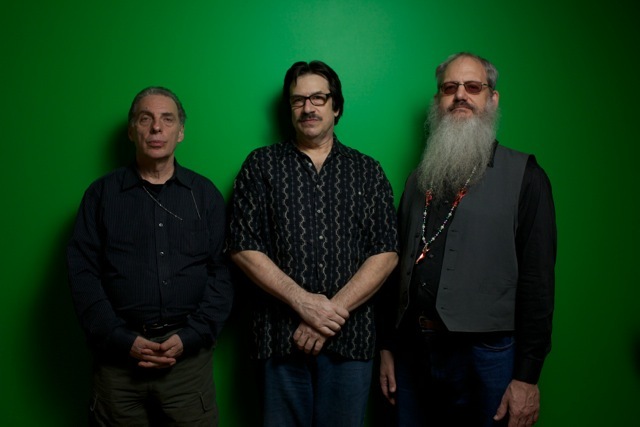 On his debut release on RANDOM ACT RECORDS, Jeff and his incredible cohorts, Acoustic Bassist//Pianist Richard Drexler and Drummer Mike Clark, offer a sizzling set of Jazz standards. Drexler, one of the most versatile of jazz players, nimbly switches from upright bass to acoustic piano, or vice versa, on most tracks. Having performed for years with Berlin, his walking lines and supportive grooves perfectly blend with the leader’s electric voice. Clark’s percussion discussions are legendary: Initially making a mark on the international scene with Herbie Hancock’s funkified Headhunters, Mike is a jazz warrior at heart. Together, the trio present unique versions of strong material culled from the Jazz songbook. Wayne Shorter, perhaps the most heralded of modern jazz composers, is well represented: Berlin and company burn on three of Shorter’s beguiling concoctions. “E.S.P.” kicks off the set, with Berlin stating the melody and Drexler’s bass lines walking in rhythm with Clark’s swinging ride cymbal. After Jeff amply illustrates his penchant for unmatched melodic improvisation, his electric instrument skips in tandem with Clark as Drexler moves to the ivories. On six of eight cuts, the trio represents as a quartet, thanks to Drexler’s multi-instrumental skills. Next up is “El Gaucho,” first heard on Shorter’s ADAM’S APPLE album. To complete the Shorter trilogy, the trio speaks no evil as they soar through “Fee Fi Fo Fum.” Berlin is the giant here, ingeniously stating the melody before launching into an astute improvisation. Drexler sticks to the upright, soloing with thoughtful elegance. One of only two piano-less tracks of the set, this outing touches all the basses, exposing new facets of Wayne’s compositional gem. Fellow electric bassist Steve Swallow’s “Falling Grace” is awash in harmonic beauty; as on every track, Jeff reinforces the accolades accorded him by legions of fellow musicians. His distinctive voice on the electric is organic – It belies those who disdain a bass that requires an outlet. Swallow’s longtime partner Carla Bley penned “Vashkar,” a tune probably more associated with drummer Tony Williams and his groundbreaking group Lifetime. Drexler opens, and stays, at the piano; Berlin strives for new lows; Clark’s hi-hat and snare interplay nods to Tony. Pianist Bill Evans’ lilting “Very Early” awakes with a more extroverted treatment compared to the composer’s retrospective approach. Benny Golson’s “Whisper Not” swings with Jeff speaking first, Richard eschewing the piano while soloing with his own low tones while Mike tips lightly. The stellar session closes with Pat Metheny’s modern classic “James,” the guitarist’s homage to one Mr. Taylor. Richard Drexler’s stately pianistic introduction leads to Jeff Berlin effortlessly executing the gorgeous melody, as Mike Clark ably supports the proceedings. The album appropriately concludes with Jeff’s unique, sustained ringing tone. LOW STANDARDS is obviously an ironic title for an album that achieves such a pinnacle of musicality. Seldom, if ever, has the combination of two bass clef compadres created such a harmonious marriage of tone, verve and vigor. With this latest effort, Jeff Berlin proves, once again, that his is the highest standard of virtuosity in the low-end spectrum. 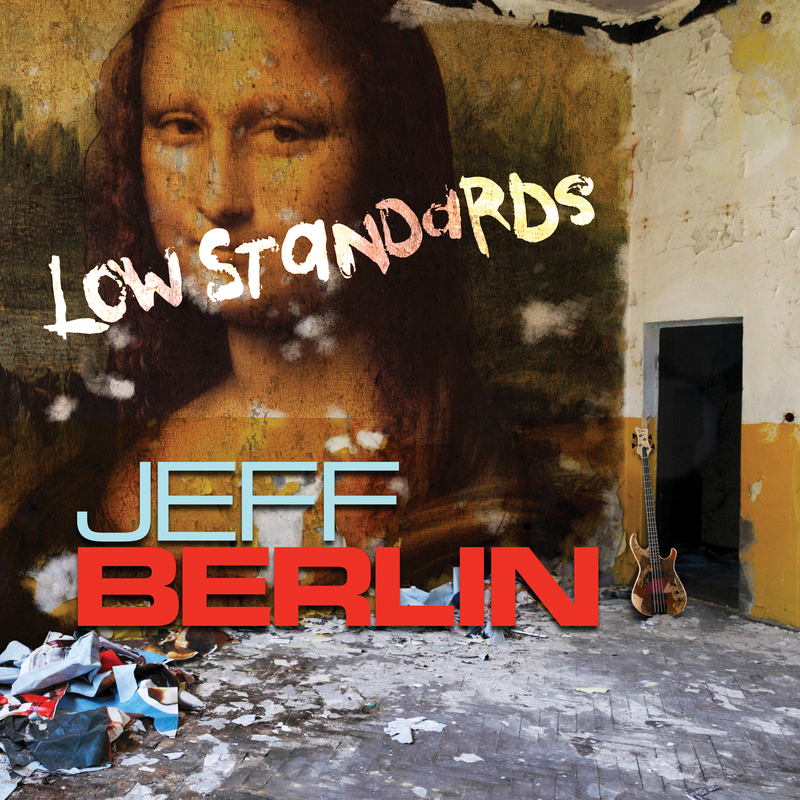 Jeff Berlin LOW STANDARDS CD can be purchased at Amazon.com, iTunes, and at most music stores.